"I think I see the light coming to me, coming through me giving me a second sight." Those are words from the song, "I Think I See," by Cat Stevens, written years before Yusuf Islam, as he is now called, converted to Islam. It was, some said, a metaphor for the promised land. Maybe! 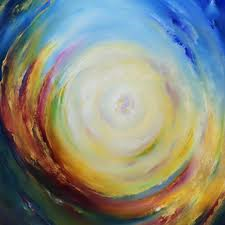 "And sometimes the light [I think I see] at the end of the tunnel isn’t the promised land. Sometimes it’s just New Jersey," Jon Stewart said at the "Rally to Restore Sanity," not meaning, of course, to criticize Yusuf Islam who was at the rally to sing his more famous song, "Peace Train." In Shroud circles, when you hear the four-word phrase, "I think I see" you immediately think of Ray Rogers. "I think I see, won’t do," he wrote concerning one person’s observation that was pretty much only one person’s observation. "I think I see is not a scientific statement," he wrote often. To me, in an email, he wrote: "tests and measurements will always have more credibility than ‘I think I see.’"
What others said they saw, Rogers said he thought they merely thought they saw. I agree. But he persisted. His mind was made up. "You can’t prove it," he wrote back. "It could be pure coincidence and you don’t know for a fact that it isn’t. What is the threshold for perceiving an image? What are the criteria for saying that the image is of a man? Are you an expert on the human face?" I suspect that there is a rather fuzzy swath of undecidedness between certainty that an image is of a face and is not. Given the setting and circumstance and a measure of sanity in whatever our worldview may dictate to us, we can usually avoid undecidedness. If I see a face in the clouds, I know it is a phantasm (another cool word), an illusion, an apparition of sorts. 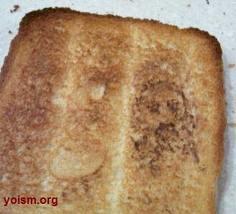 I am sure most of us think the same thing if we see a face on a piece of toast or in a smudge of a windowpane. It should be easy to know what we see for any given context. If I see a face in a Picasso, even if it looks less like a face than what I see on my morning toast, I know it is an image of a face because of the context. But what about the face on the shroud? It is a face. The context is clear. There is an entire body there – admittedly, at the risk of being declared incompetent, maybe a pareidolia. I don’t know how the face got there but it is a face. As soon as the infant can see, it recognizes faces, and we now know that this skill is hardwired in our brains. Those infants who a million years ago were unable to recognize a face smiled back less, were less likely to win the hearts of their parents, and less likely to prosper. These days, nearly every infant is quick to identify a human face, and to respond with a goony grin. [P]eople have gotten so used to seeing faces everywhere that sensitivity to them is high enough to produce constant false positives. This tendency to become hyperattuned to common stimuli may represent a survival advantage. "If you lived in primeval times, for instance," Dr. Watanabe said, "it would be good to be very sensitized to tigers." 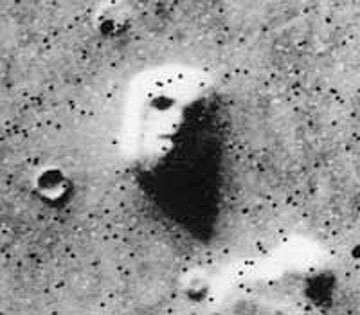 Indeed—and we should not be surprised by this—many people were convinced that this was a gigantic monument of some sort created by humans or human-like aliens who once lived on Mars. NASA re-photographed the mesa from different angles. They used the same ray tracing technology (think VP8) that is used to show the 3D image of the face on the shroud to show that the Martian face was not a face at all. Had it been, the results would have been similar to the results obtained from the face on the shroud. The face was a pareidolic image. But some people, not unlike flat-earthers, remain convinced that it is a face. 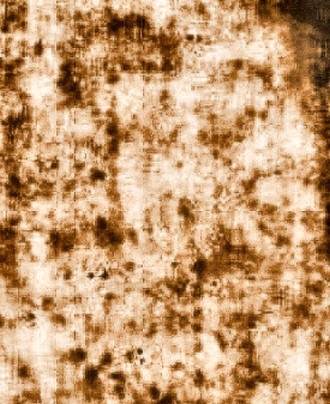 The images of a person, certainly a man if we look closely, exists on the shroud. Many well pronounced features are part of that image. But there may be other parts of the image that some people claim to see that are probably pareidolic perceptions. Takeo Watanabe’s views "that subliminally learning something ‘too well’" results in false positives may explain many reported images and features of the shroud image. A botanist may see images of flowers and plants. A numismaticist may see images of ancient coins. A dentist may see what looks like teeth. It would be totally unfair to say that this is what happened when such experts saw these things. But it would be unfair to not suggest the possibility. The shroud is dirty, creased and wrinkled. It has been exposed to dust, moisture, smoke from fire and almost certainly candles and incense. It has been exposed to moisture and there are clear water stains in places. It has been folded different ways and rolled up for storage. Folding causes creases. It has been held aloft and probably hung in ways that over time caused stretching. The cloth was woven on a hand loom with handspun thread that is not perfectly uniform. All of this contributes to visual information and visual misinformation. So does the banding patterns, the variegated appearance of the cloth. We know that it alters the appearance of the face very dramatically. It certainly must contribute to what some say they see on the shroud. For instance, if you look closely, you are likely to see what looks like teeth behind the man’s lips, as though somehow the image contains x-ray qualities. But vertical banding lines may be the reason we see teeth. Clear banding lines extend well beyond the teeth, beyond the face even, and seemingly for the length of the cloth. Photography also introduces visual noise. Different films have different contrast characteristics that can significantly change the appearance of faint details. Lighting may create small shadows between threads and among wrinkles and creases. Even the color temperature of lighting can have an effect because different films are subject to different colors being reflected from the cloth. What we perceive in a photograph of the shroud may not be what we see if we look at the cloth with our own eyes. People have seen coins over the eyes; and not just coins but enough details to identify them as specific coins minted by Romans for Jewish use around the time of Jesus’ crucifixion. People have identified flowers and plants that are specific to the environs of Jerusalem. The list of things seen goes on and on. There are, supposedly, a hammer, a nail, a fluffy shaped sponge tied to a reed, a coil of rope, a pair of dice and part of a plaque with enough lettering in Greek, Latin and possibly Hebrew to identify it as saying, "Jesus of Nazareth." But are these things really imaged on the cloth? Are there criteria for deciding? Consensus among people who closely study the images on the shroud is valid so long as that study is as completely objective as possible. Worldview nullification must be avoided at all cost. It is not proper to reject these images because you don’t believe the shroud is real. But it is fair to be skeptical, as in the case of the flowers, teeth, coins and lettering because there is identifiable noise such as the banding, wrinkles and crinkles and whatnots. "’I see’ said the blind man as he picked up his hammer and saw," so goes the excruciatingly ridiculous old English ditty. "I see flowers, I see teeth . . ." You get the idea. I would like to see the flowers. I see something that looks like two flowers. I’m not convinced they are flowers. I’m not trained enough in botany to know many other types of flowers to look for. I’ve read the books. Studied the charts and diagrams. Looked at pictures through gadgets. I don’t see the flowers. I want to see. Show me. Show me that these images are not pareidolias or apophenias or phantasms or I-think-I-sees. Show me that the light at the end of the tunnel isn’t New Jersey. Whilst making my breakfast this morning, to my astonishment as I pulled the second piece of toast out of the toaster, I saw the face of Dan Porter, clear as day!….But seriously, although I agree mostly with the article, I have to admit I see objects on the eyes! Forget the different photo film types, as it appears in the VP-8 renderings very clear.Would be nice if they had a way to enhance the vp-8 images detail to finally clear this up.